Around the time he snuck into one of President Obama’s White House Correspondents' Dinners, Fred Karger came to a realization more than fifty years in the making: there was not a wedding nor a celebrity funeral, a benefit nor a gala, an awards ceremony nor an after-party, that he could not find his way into. Since high school, Karger, now 68, had a knack for gaining access to the champagne-dappled rooms typically reserved for the rich, the famous, the gatekeepers of the haut monde. On double dates, he would play dress up and venture from the quietude of Glencoe, a suburb on the North Shore of Chicago, to the city, where he’d sneak his companions into whichever classy event happened to be unraveling at the Hilton Hotel. Home from college for Christmas vacation, he and a friend stole—borrowed—waiter uniforms to get into an annual fundraiser called the Crystal Ball, and made the Chicago Tribune’s society page. It was his first big crash. In 1972, Karger, then 22, took things up a notch and crashed the Oscars: he simply called the Academy and told them that media titan David Sarnoff’s nephew and friend wanted to attend the ceremony. They received special badges, which they realized could get them backstage. With a bit of confidence and a lot of nerve, Karger ended up on stage at the end of the awards ceremony, shaking Charlie Chaplin’s hand, the actress Ann Margaret by his side. After he snuck in the following year as well, the Oscars’ head of security, who spied Karger at an after-party, sternly told him to never try it again—but also asked if he’d advise them on next year’s security protocols. Over the course of his notorious, decades-spanning career, Karger has crashed hundreds of events, from celebrity funerals (like Lady Astor's), to weddings, to DC parties for the political elite. In 2006, he crashed Vanity Fair’s Academy Awards after-party—then one of the most exclusive events of the year—where he nearly dropped his fake Oscar on Catherine Keener’s foot. Last year, he crashed the Met Gala, improvising his way past five checkpoints and editrix Anna Wintour herself, before schmoozing with Tom Brady and walking in on a crowd of celebrities illicitly smoking cigarettes in the men’s bathroom; just this May, he trojan-horsed himself into Versace’s Met Gala after-party at the Mark Hotel, by nonchalantly carrying the train of Blake Lively’s ball gown. What accounts for Karger’s preternatural crashing talent? A cocktail of unabashed determination, quick thinking, charm and a history of necessary deception: until somewhat recently, Karger led the classic double life of homosexuals of a certain generation and status. Certainly, his short-lived stint as an actor—he won a recurring role on a Welcome Back, Kotter spin-off that never aired—hasn't hurt his crashing chops, either. Nor has his long career scrounging up opposition research as a conservative political consultant for the Dolphin Group, who, amongst other things, helped sink Michael Dukakis's 1988 presidential campaign. Suffice it to say, he's a man who knows how to identify weaknesses, and how to exploit them. But it's in the latest phase of his public life that Karger has most resoundingly exhibited the audacity integral to his party crashing: in 2008, he gained notoriety for exposing the Mormon church’s donations to California’s Prop 8 campaign; in 2012, he became the first openly gay presidential candidate—running as a moderate Republican—and hustled his name onto the ballot in six states. Nowadays, he runs his own LGBT rights organization, called Rights Equal Rights. And he continues to crash, too, waiting for whatever seemingly impenetrable event pops up next. Since we’re reaching the peak of wedding season, we asked Karger to give us some tips on sneaking into the most exclusive receptions. Spoiler: Wedding Crashers had it all wrong. Dress the part. Act the part. Be the part. “The key thing is to look like you belong,” Karger says. The older you are, the easier it is: people are much less suspicious of a well-dressed 50-something with graying hair than they are of an overzealous 22-year-old with a poorly-concealed flask of whiskey. Whenever possible, follow the crowd. Karger’s most reliable move is simply acting confident and following the right crowd into the party. That’s more or less how he got into the Met Gala. If someone stops you, you can always say you just stepped out for a cigarette or a phone call, and are re-entering the party. And if someone calls out for you as you walk by, don’t turn around—at least until the third "excuse me." Respond the first time, and you’ll look guilty. Prepare a backstory that suits you. “It was such amateur hour,” Karger says, regarding the strategy of John Beckwith and Jeremy Grey in Wedding Crashers. Instead of referencing a particular family member—“Uncle Ned’s kids”—you should vaguely say you’re on the groom’s side if someone on the bride’s side talks to you, and vice versa. At big weddings—i.e., the ones worth crashing—it's highly unlikely anybody knows everybody. 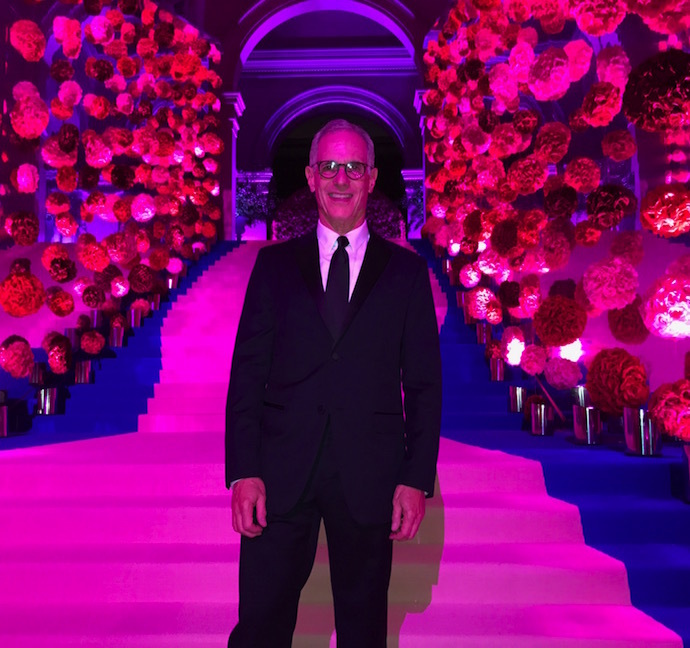 “If you’re creating an identity to fit in at an event,” Karger continues, “you have to come up with something that suits you, but is also kind of removed, so you can’t get pinned down.” At the Met Gala, for example, he told people he worked for Apple—one of the event’s sponsors. And when he snuck into Vanity Fair’s Oscars after-party, in 2006, he told the event staff he was Richard Taylor, a man to whom he bore a slight resemblance, who was one of four winners for Best Visual Effects. With a fake Oscar in tow, this was the perfect backstory for Karger and the event: Taylor had name-recognition, yet was not readily familiar. Blend in. Don’t stand out. Here’s another detail Wedding Crashers got wrong. While making giant balloon animals, dancing with the flower girl and generally making a name for yourself at the wedding may be conducive to bedding vulnerable bridesmaids, standing out during a crash is antithetical to the entire enterprise. The idea is to blend in. Be mindful of the security and staff. If you’re caught or questioned, says Karger, don’t become indignant. Be courteous. Be respectful. Understand that it’s these people’s jobs to question you. Karger has failed numerous times at numerous different events, only to eventually gain entry. That’s in part because he never made a big stink upon getting caught, thereby giving himself another chance to find a way in.